The Campagnolo EPS drivetrain is an organic set of mechanical and electronic components that work together in an integrated way to guarantee maximum performance. 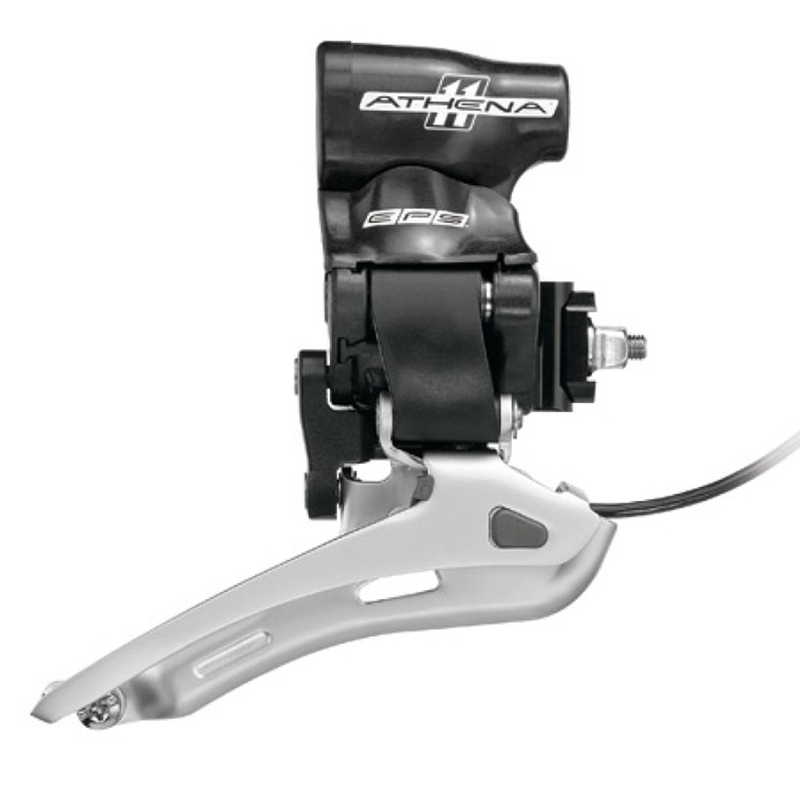 In particular, the EPS derailleur interacts with the mechanical crank set and enhances the elevated derailleur speed and precision made possible with X.P.S.S. technology. The 8 special upward zones and 2 downward zones for the chainrings associated to the speed and precision of the new EPS derailleur guarantee top performance. As with most Campagnolo items, this one operates just as well. EPS is the way to go with 11 speeds. No more minor adjustments. Perfect shift all the time.